Les Gets Village Guide and Nightlife Guide. Les Gets Village Guide A guide to Les gets village and night Life. Welcome to Les Gets, one of the most stunning ski resorts within the largest ski area in Europe. Here we've tried to give you a flavour of what Les Gets has to offer, along with answering a few questions about Les Gets, France. We'll be adding more information about Les Gets as time goes on so please do check back again! Les Gets in Summer is a different world. Quiet & relaxed, the mountains by summer are bursting with flora and fauna in the warm sunshine. There's countless activities for all ages so if you fancy something different this summer why not check out our Summers in Les Gets. Les Gets Ski Resort is a charming and authentic alpine village. Part of the vast Portes du Soleil ski area, the largest ski area in Europe, Les Gets is based at 1172m, high up in the French Alps. The traditional dairy farming village is a community that dates back to the 12th century. It is a mix of old Savoyard chalets and more modern wooden-and-stone buildings constructed in keeping with their beautiful alpine surroundings, with all the facilities you would expect of a modern French ski resort whilst still retaining the charm of an 800 year old alpine community. It has a relaxed atmosphere, warm and friendly, in keeping with it's traditional Alpine roots. There are over 100 shops, bars and restaurants. The countless artisan shops offer all sorted of local craft and produce, giving a real Savoyard feel to the village. There's a cinema (showing films in English each week), an ice rink and ten pin bowling alley. Check out the Les Gets Skiing Holiday website. Les Gets offers more than just a ski and snowboard holiday. With a huge list of non ski activities to choose from there is something for everybody to enjoy during a stay in Les Gets. From Bowling to sledging and ice climbing to ice diving and Yoga to massage and spas there is something for everybody. We have put together a comprehensive list of all the activities in the surrounding areas for you which includes prices. Our personal favourites are the snow shoeing and parapenting. See the complete list with the link below. The Les Gets calendar is chock full of events during the winter ski season. Starting in December with the amazing Enchanted Forest and going all the way through to the the famous Rock The Pistes music festival in March and of course the Ski Colour and the Grand Odyssey dog sled race in between. We have created a page dedicated to Les Gets festivals and events, have a look here to see a comprehensive list of all the great events Les Gets has to offer. Getting around Les Gets and the surrounding towns couldn't be easier thanks to an excellent network of public transport services. The free village shuttle busses and inter resort busses make for comfortable and convenient navigation around the resort. 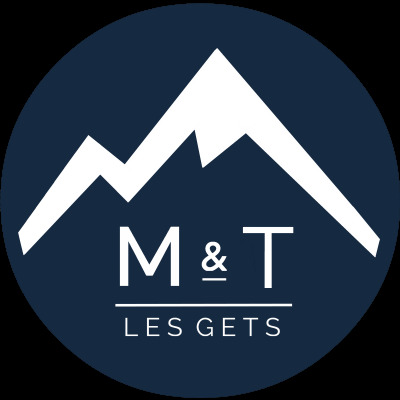 For more information on what services are available and how to access them head over to our "Getting Around Les Gets" page..
Les Gets is a wonderful and varied Ski Resort. Part of the Portes do Soleil, it's connected to 650kms of skiing, the largest ski area in Europe! Les Gets itself is particularly good for beginners, intermediates, families and groups of mixed ability. Indeed with an area that large there's always going to be more than enough for every level and style of skier and snowboarder. We've created a whole section about the Skiing Les Gets. The tourist office here have put together some very good videos to give you a flavour of what Les Gets has to offer.